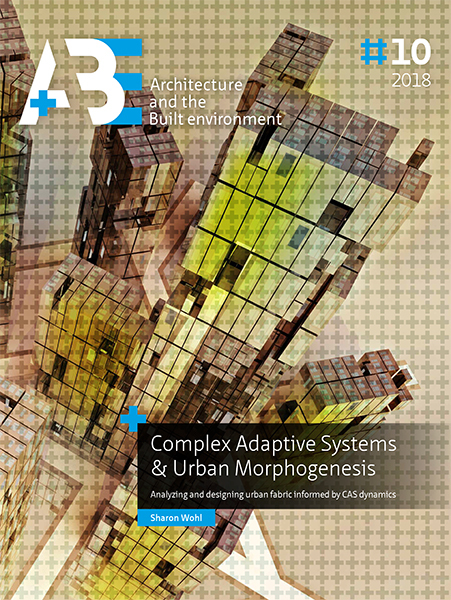 What physical and morphological conditions need to be in place within an urban environment in order for Complex Adaptive Systems dynamics arise - such that the physical components (or ‘building blocks') of the urban environment have an enhanced capacity to discover functional configurations in space and time as a response to unfolding contextual conditions? To answer this question, the dissertation unfolds in a series of parts. It begins by attempting to distill the fundamental dynamics of a Complex Adaptive System. It does so by means of an extensive literature review that examines a variety of highly cited ‘defining principles' or ‘key attributes' of CAS. These are cross-referenced so as to extract common features and distilled down into six major principles that are considered as the generalized features of any complex system, regardless of domain. In addition, this section considers previous urban research that engages complexity principles in order to better position the distinctive perspective of this thesis. This rests primarily on the dissertation's focus on complex urban processes that occur by means of materially enabled in situ processes. Such processes have, it is argued, remained largely under-theorized. The opening section presents introductory examples of what might be meant by a ‘materially enabling' environment. The core section of the research then undertakes a more detailed unpacking of how complex processes can be understood as having a morphological dimension. This section begins by discussing, in broad terms, the potential ‘phase space' of a physical environment and how this can be expanded or limited according to a variety of factors. Drawing insights from related inquiries in the field of Evolutionary Economic Geography, the research argues that, while emergent capacity is often explored in social, economic, or political terms, it is under-theorized in terms of the concrete physical sub-strata that can also act to ‘carry' or ‘moor' CAS dynamics. This theme is advanced in the next article, where a general framework for speaking about CAS within urban environments is introduced. This framework borrows from the terms for ‘imageability' that were popularized by Kevin Lynch: paths, edges, districts, landmarks, and nodes. These terms are typically associated with physical or ‘object-like features' of the urban environment – that is to say, their image. The terminology is then co-opted such that it makes reference not simply to physical attributes, but rather to the complex processes these attributes enable. To advance this argument, the article contrasts the static and ‘imageable' qualities of New Urbanism projects with the ‘unfolding' and dynamic qualities of complex systems - critiquing NU proponents as failing to appreciate the underlying forces that generate the environments they wish to emulate. Following this, the efficacy of the re-purposed ‘Lynchian' framework is tested using the case study of Istanbul's Grand Bazaar. Here, specific elements of the Bazaar's urban fabric are positioned as holding material agency that enables particular emergent spatial phenomena to manifest. In addition, comparisons are drawn between physical dynamics unfolding within the Bazaar's morphological setting (leading to emergent merchant districts) and parallel dynamics explored within Evolutionary Economic Geography). The last section of the research extends this research to consider digitally augmented urban elements that hold an enhanced ability to receive and convey information. A series of speculative thought-experiments highlight how augmented urban entities could employ CAS dynamics to ‘solve for' different kinds of urban optimization scenarios, leading these material entities to self-organize (with their users) and discover fit regimes. The final paper flips the perspective, considering how, not only material agency, but also human agency is being augmented by new information processing technologies (smartphones), and how this can lead to new dances of agency that in turn generate novel emergent outcomes. The dissertation is based on a compilation of articles that have, for the most part, been published in academic journals and all the research has been presented at peer-reviewed academic conferences. An introduction, conclusion, and explanatory transitions between sections are provided in order to clarify the narrative thread between the sections and the articles. Finally, a brief ‘coda' on the spatial dynamics afforded by Turkish Tea Gardens is offered. Al-Hindi, K F and Karen, E, 2001, “(Re)placing the New Urbanism Debates: toward an interdisciplinary research agenda” Urban Geography 22 189–201. Alexander, C, 1979 The Timeless Way of Building (Oxford University Press, USA). Allen, P M, 2012, “Cities: the Visible Expression of Co-evolving Complexity”, in (Springer), pp 67–89. Allen, S, 2002, “Mat Urbanism: The Thick 2-D”, in CASE: Le Corbusier’s Venice Hospital and the Mat building revival. Ed H Sakris (Prestel), pp 118–126. Amin, A and Thrift, N, 2002 Cities: reimagining the urban (Taylor & Francis). Anderson, B, Kearnes, M, McFarlane, C, and Swanton, D, 2012, “On assemblages and geography” Dialogues in Human Geography 2(2) 171–189. Anderson, B and Mcfarlane, C, 2011, “Assemblage and geography” Area 43(2) 124–127. Anderson, B and Wylie, J, 2009, “On geography and materiality” Environment and Planning A 41(2) 318–335. Anderson, C, 2004, “The Long Tail: Why the Future of Business Is Selling Less of More” http://changethis.com/manifesto/show/10.LongTail 1–30, http://doi.wiley.com/10.1111/j.1540-5885.2007.00250.x. Anderson, P, 2008, “Complexity Theory and Organization Science” Organization Science 10(3) 216–232. Araabi, H, 2015, “A typology of Urban Design theories and its application to the shared body of knowledge” Urban Design International 21(1) 1–14. Arafat, N, 2012, “Crafts and Trade: Public Markets in Nablus”, in Ed M Gharipour (American University of Cairo Press). Arat, Y, 1997, “The Project of Modernity and Women in Turkey”, in Rethinking modernity and national identity in Turkey Eds S Bozdogan and R Kasaba (University of Washington Press), p 95. Aravot, I, 2002, “Back to Phenomenological Placemaking” Journal of Urban Design (April 2014) 37–41. Armstrong, H, 2004, “New Forms of Green for Mega-Cities : Peri- and Inter-urban Agricultural Space.”, in AILA, Australia. Artan, T, 2011, “Forms and Forums of Expression : Istanbul and beyond, 1600-1800”, in, pp 378–405. Arthur, W, Durlauf, S N, and Lane, D A, 1997, “The economy as an evolving complex system II” Santa Fe Institute Studies in the Science of Complexity XXVII 1–6. Ashby, W R, 1947, “Principles of the self-organizing dynamic system.” The Journal of general psychology 37(2) 125–8. Baas, N and Emmeche, C, 1997, “On Emergence and Explanation” Intellectica. Bak, P, 1988, “Self-organized criticality” Physical review A.
Balducci, A, Boelens, L, Hillier, J, Nyseth, T, and Wilkinson, C, 2011, “Introduction: Strategic spatial planning in uncertainty: theory and exploratory practice” Town Planning Review 82(5) 481–501. Barabási, A-L and Albert, R, 1999, “Emergence of Scaling in Random Networks“ Science 286(5439) 509–512. Bateson, G, 2002 Mind and Nature: A Necessary Unity (Hampton Press (NJ), New York). Bathelt, H and Gluckler, J, 2003, “Toward a relational economic geography” Journal of Economic Geography 3 117–144. Bathelt, H, Malmberg, A, and Maskell, P, 2004a, “Clusters and knowledge: local buzz, global pipelines and the process of knowledge creation” Progress in Human Geography 28(1) 31–56. Bathelt, H, Malmberg, A, and Maskell, P, 2004b, “Clusters and knowledge: local buzz, global pipelines and the process of knowledge creation” Progress in Human geography 28(1) 31–56. Batty, M, 2007a Cities and complexity (The MIT press). Batty, M, 2008, “Generating Cities from the Bottom-Up: Using Complexity Theory for Effective Design”. Batty, M, 2007b, “Model cities” Town Planning Review 78(May 2006) 1–19. Batty, M, 2013 The New Science of Cities (MIT Press). Batty, M, 2009, “Urban Modeling” International Encyclopedia of Human Geography 51–58. Batty, M and Marshall, S, 2009, “Centenary paper: The evolution of cities: Geddes, Abercrombie and the new physicalism” Town Planning Review 80(6) 551–574. Batty, M and Torrens, P M, 2005, “Modelling and prediction in a complex world” Futures 37(7) 745–766. Beauregard, R A, 2012, “Planning with Things” Journal of planning education and research 32(2) 182–190. Bedau, M A and Humphreys, P, 2008 Emergence: Contemporary Readings in Philosophy and Science (The MIT Press). Beinhocker, E D, 2011, “Evolution as computation: integrating self-organization with generalized Darwinism” Journal of Institutional Economics 7(3) 393–423. von bertalanffy, L, 1968 General Systems Theory (Braziller, New york). Bettencourt, L and West, G B, 2010, “A unified theory of urban living” Nature 467(7318) 912–913. Binder, G, 2011, “Theory(izing)/practice: The model of recursive cultural adaptation” Planning Theory 11(3) 221–241. Boelens, L, 2006, “Beyond the Plan; Towards a New Kind of Planning” disP-The Planning Review (June). Boelens, L and Roo, G De, 2016, “Planning of undefined becoming : First encounters of planners beyond the plan” Planning Theory 15(1) 42–67. Bonabeau, E, 1995, “Characterizing emergent phenomena (1): A critical review” Revue internationale de Systemique 9(3) 327–346. Bonabeau, E, Dessalles, J L, and Grumbach, A, 1995, “Characterizing emergent phenomena (1): A critical review” Revue Internationale de Systemique 9(3) 327–346. Bonabeau, E, Guérin, S, Snyers, D, Kuntz, P, and Theraulaz, G, 2000, “Three-dimensional architectures grown by simple ‘stigmergic‘ agents” Bio Systems 56(1) 13–32. Boonstra, B, 2012, “Translational Self-Organization”. Boonstra, B and Boelens, L, 2011, “Self-organization in urban development: towards a new perspective on spatial planning” Urban Research & Practice 4(2) 99–122. Boschma, R and Frenken, K, 2006, “Applications of Evolutionary Economic Geography” … lutionary Economics and Economic Geography (6). Boschma, R and Frenken, K, 2011, “The emerging empirics of evolutionary economic geography” Journal of Economic Geography 11(2) 295–307. Boschma, R and Frenken, K, 2005, “Why is economic geography not an evolutionary science? Towards an evolutionary economic geography” Journal of Economic Geography 6(3) 273–302. Boschma, R and Lambooy, J G, 1999, “Evolutionary economics and economic geography” Journal of evolutionary economics 9(4) 411–429. Boschma, R and Martin, R, 2010 The Handbook of Evolutionary Economic Geography. Brain, D, 2005, “From Good Neighborhoods to Sustainable Cities: Social Science and the Social Agenda of the New Urbanism” International Regional Science Review 28(2) 217–238. Bratton, B H, 2009, “iPhone City” Architectural Design 79(4) 90–97. Brookshaw, D P, 2003, “Palaces, Pavilions and Pleasure-gardens: the context and setting of the medieval majlis” Middle Eastern Literatures 6(2) 199–223. Buckley, W, 1967 Sociology and modern systems theory (Prentice-Hall, Englewood Cliffs, NJ,). Byrne, D, 2003, “Complexity Theory and Planning Theory: A Necessary Encounter” Planning Theory 2(3) 171–178. Caldwell, C, 2005, “The East in the West” The New York Times Magazine. Capra, F, 2004 The Hidden Connections: A Science for Sustainable Living (Anchor). Capra, F, 1997 The Web of Life: A New Scientific Understanding of Living Systems (Anchor). Casti, J, 1979, “Connectivity, Complexity and Catastrophe in Large-scale Systems” International Series on Applied Systems Analysis 7 203. Charpentier, C J, 1976, “Social Interaction as a Major Force in Asian Economy: An Analysis of‘ Asian Pseudo-Capitalism’” Anthropos 71(1/2) 289–293. Chettiparamb, a., 2006, “Metaphors in Complexity Theory and Planning” Planning Theory 5(1) 71–91. Cilliers, P, 1998 Complexity and Postmodernism: Understanding Complex Systems 1st edition (Routledge). Çinar, A, 2005 Modernity, Islam, And Secularism In Turkey: Bodies, Places, And Time (University of Minnesota Press). Çinar, A, 2008, “Subversion and Sujugation in the Public Sphere: Secularism and the Islamic Headscarf” Chicago Jounals 33(4) 891–913. Comunian, R, 2010, “Rethinking the Creative City: The Role of Complexity, Networks and Interactions in the Urban Creative Economy” Urban Studies 48(6) 1157–1179. Corner, J, 1997, “Ecology and landscape as agents of creativity” Ecological design and Planning. Corner, J, 1999a, “Eidetic operations and new landscapes”, in Recovering Landscape: Essays in Contemporary Landscape Theory (Princeton Architectural Press, New York), pp 153–169. Corner, J, 1998, “Operational Eidetics forging New Landscapes” Harvard Design Magazine. Corner, J, 1999b Recovering Landscape: Essays in Contemporary Landscape Theory 1st edition (Princeton Architectural Press). Cowan, J and Feldman, M, 1986, “Preview of Workshop on Complex Adaptive Systems” Bulletin of the Santa Fe Institute 1; 1 11–11. Crutchfield, J, 1994, “Is Anything Ever New? - Considering Emergence” Integrative Themes 479--497. Cullen, G and Collection, K W B B, 1962 Townscape (The architectural press). Cuthbert, A R, 2007, “Urban design: requiem for an era – review and critique of the last 50 years” Urban Design International 12(4) 177–223. d’Ohsson Mouradgea, 1788 Tableau gé né ral de l’Empire othoman [General Picture of the Ottoman Empire] (Paris, Imprimerie de monsieur [Firmin Didot]). Davis, M, 1992 City of Quartz: Excavating the Future in Los Angeles Reprint (Vintage). Davoudi, S and Pendlebury, J, 2010, “Centenary paper: The evolution of planning as an academic discipline” Town Planning Review 81(6) 613–646. DeLanda, M, 2000 A Thousand Years of Nonlinear History New editio (Zone Books). DeLanda, M, 2005 Intensive Science & Virtual Philosophy New editio (Continuum). DeLanda, M, 2011 Philosophy and Simulation: The Emergence of Synthetic Reason (Continuum International Publishing Group, London). Deneubourg, J, Aron, S, Goss, S, and Pasteels, J, 1990, “The self-organizing exploratory pattern of the argentine ant” Journal of insect behaviour 3(2) 159–168. Dewsbury, J D, 2011, “The Deleuze-Guattarian assemblage: Plastic habits” Area 43(2) 148–153. Diamond, B, 2011, “Landscape Cubism: parks that break the pictorial frame” Journal of Landscape Architecture 6(2) 20–33. Dittmer, J, 2014, “Geopolitical assemblages and complexity” Progress in Human Geography 38(3) 385–401. Doak, J and Karadimitriou, N, 2007, “(Re)development, complexity and networks: A framework for research” Urban Studies 44(2) 209–229. Dopfer, K, Foster, J, and Potts, J, 2004, “Micro-meso-macro” Journal of Evolutionary Economics. Dovey, K, 2012, “Informal urbanism and complex adaptive assemblage” International Development Planning Review 34(4) 349–368. Dovey, K and Pafka, E, 2015, “The science of urban design?” Urban Design International 21 1–10. Durack, R, 2001, “Village Vices” Places Journal 1–8. Van Dyke, C, 2013, “Plastic eternities and the mosaic of landscape” Environment and Planning D: Society and Space 31(3) 400–415. Eidelson, R J, 1997, “Complex adaptive systems in the behavioural and social sciences.” Review of General Psychology 1(1) 42–71. Eliade, M, 1987 The Sacred and The Profane: The Nature of Religion (Harcourt Brace Jovanovich). Ellis, C, 2002, “The new urbanism: critiques and rebuttals” Journal of Urban Design 7(3) 261–291. Ellis, M, 2008, “An introduction to the coffee-house: A discursive model” Language & Communication 28(2) 156–164. Epstein, J M, 1999, “Agent-based computational models and generative social science” Complexity 4 41--60. Evyapan, G A, 1999, “The Development of an Ottoman Gardening Style in Istanbul”, in Old Turkish Gardens: Old Istanbul Gardens in Particular (METU Faculty of Architecture Press). Evyapan, G A, 1986, “The Intrinsic Values of the Traditional Anatolian Turkish Garden” Design: Journal of the Islamic Environmental Design. Fainstein, S, 2000, “New Directions in Planning Theory” Urban Affairs Review 35(4) 451–478. Folke, C, 2006, “Resilience: The emergence of a perspective for social–ecological systems analyses” Global Environmental Change 16(3) 253–267. Ford, L, 1999, “Lynch revisited: New urbanism and theories of good city form” Cities 16(4) 247–257. Forrester, J W, 1969, “Urban dynamics”. François, C, 1999, “Systemics and Cybernetics in a Historical Perspective” Systems Research and Behavioural Science 16(November 1997) 203–219. Frenken, K, Marengo, L, and Valente, M, 1999, “Interdependencies, nearly-decomposability and adaptation” Computational techniques for … (March 1998) 1–20. Gell-Mann, M, 1994, “Complex adaptive systems”, in Complexity: Metaphors, Models and Reality Eds G Cowan, D Pines, and D Meltzer (Addison-Wesley), pp 17–45. Ger, G and Kravets, O, 2009, “Special and Ordinary Times: Tea in motion”, in Time, Consumption and Everyday Life: Practice, materiality and culture (Berg), pp 189–202. Gershenson, C and Heylighen, F, 2004, “Protocol Requirements for Self-organizing Artifacts: Towards an Ambient Intelligence” 1–10. Gershenson, C and Heylighen, F, 2003, “When Can we Call a System Self-organizing?” Advances in Artificial Life 606–614. Gibson, J J, 1986, “Gibson Theory of Affordances.pdf” Chapter Eight The Theory of Affordances 127–136. Gisiger, T, 2001, “Scale invariance in biology: coincidence or footprint of a universal mechanism?” Biological reviews of the Cambridge Philosophical Society 76(2) 161–209. Gökarıksel, B, 2011, “The intimate politics of secularism and the headscarf: the mall, the neighborhood, and the public square in Istanbul” Gender, Place & Culture 19(November 2014) 1–20. Graham, S and Healey, P, 1999, “Relational concepts of space and place: Issues for planning theory and practice” European Planning Studies 7(5) 623–646. Grant, J, 2006, “Promised and Prospects: New urbanism in practice”. Grant, J, 2009, “Theory and Practice in Planning the Suburbs: Challenges to Implementing New Urbanism, Smart Growth, and Sustainability Principles” Planning Theory & Practice 10(1) 11–33. Grant, J, 2007, “Two sides of a coin? New urbanism and gated communities” Housing Policy Debate 18(3) 481–501. Grassé, P P, 1959, “The automatic regulations of collective behaviour of social insect and ‘stigmergy’” Journal de psychologie normale et pathologique 57 1–10. Green, D G and Sadedin, S, 2005, “Interactions matter—complexity in landscapes and ecosystems” Ecological Complexity 2(2) 117–130. Gunder, M, 2011, “Commentary: Is Urban Design Still Urban Planning? An Exploration and Response” Journal of Planning Education and Research 31 184–195. de Haan, J, 2006, “How emergence arises” Ecological Complexity 3(4) 293–301. Habermas, J, 1995, “The Structural Transformation of the Public Sphere: An inquiry into a category of bourgeois society” Trans. by Thomas Burger with assistance of Frederick …. Habermas, J, 1991 The Structural Transformation of the Public Sphere: An Inquiry into a Category of Bourgeois Society. (MIT press). Habraken, J, 1987, “The Control of Complexity” Places 4(2). Haken, H, 1993, “Basic concepts of synergetics” Applied Physics A Solids and Surfaces 57(2) 111–115. Haken, H, 1980, “Synergetics” Naturwissenschaften 67(3) 121–128. Haken, H and Portugali, J, 2003, “The face of the city is its information” Journal of Environmental Psychology 23(4) 385–408. Hakim, B S, 2007, “Generative processes for revitalizing historic towns or heritage districts” Urban Design International 12(2–3) 87–99. Hakim, B S, 2014 Mediterranean Urbanism (Springer). Halbwachs, M and Coser, L A, 1992 On collective memory (University of Chicago Press Chicago). Halpern, O, Lecavalier, J, Calvillo, N, and Pietsch, W, 2012, “Test- Bed Urbanism” Public Culture 25(2) 272–306. Hamadeh, S, 2008 The City’s Pleasures: Istanbul in the Eighteenth Century (University of Washington Press, Seattle). Hämäläinen, T, 2015, “Tactical urbanism can help cities meet changing livability demands”, https://urbanfinland.com/2015/05/17/tactical-urbanism-can-help-cities-meet-changing-livability-demands/. Hamer, D, 2000, “Learning from the past: historic districts and the new urbanism in the United States” Planning Perspectives 15(2) 107–122. Hamilton, K, Karahalios, K, Sandvig, C, and Langbort, C, 2014, “The image of the algorithmic city: a research approach” Interaction Design and Architecture(s) Journal 20 61–71. Hanley, W, 2008, “Grieving Cosmopolitanism in Middle East Studies” History Compass 6(5) 1346–1367. Hannam, K, Sheller, M, and Urry, J, 2006, “Editorial: Mobilities, Immobilities and Moorings” Mobilities 1(1) 1–22. Harrison, P, 2013, “Making planning theory real” Planning Theory 13(2012) 65–81. Hattox, R, 2000 Coffee and Coffeehouses (University of Washington Press). Healey, P, 2003, “Collaborative Planning in Perspective” Planning Theory 2(2) 101–123. Healey, P, 2007 Urban complexity and spatial strategies: towards a relational planning for our times 1st edition (Routledge). Hebbert, M, 2003, “New urbanism—the movement in context” Built Environment (1978-) 29(3) 193–209. Hebbert, M, 2005, “The street as locus of collective memory” Environment and Planning D: Society and Space 23(4) 581–596. Heper, M, 2011, “Does Secularism Face a Serious Threat?”, in Secular State and Religious Society: Two Forces in Play in Turkey Ed B Turam (Palgrave Macmillan), pp 79–94. Heylighen, F, 2000, “Evolutionary Transitions: how do levels of complexity emerge?” Complexity 6(1) 53–57. Heylighen, F, 2007, “Five Questions on Complexity” Arxiv preprint nlin/0702016 1–8. Heylighen, F, 2004, “Mediator Evolution: a general scenario for the origin of dynamical hierarchies”. Heylighen, F, 1989, “Self-organization, emergence and the architecture of complexity” Proceedings of the 1st European conference on …. Heylighen, F, 2011a, “Self-organization of complex, intelligent systems: an action ontology for transdisciplinary integration” Integral Review 1–39. Heylighen, F, 2011b, “Stigmergy as a generic mechanism for coordination: definition, varieties and aspects”. Heylighen, F, 2015, “Stigmergy as a Universal Coordination Mechanism : components , varieties and applications” Lewis, Ted & Marsh, Leslie (eds), Human Stigmergy: Theoretical Developments and New Applications (Studies in Applied Philosophy, Epistemology and Rational Ethics 1–43. Heylighen, F, 1999a, “The Growth of Structural and Functional Complexity during Evolution” The evolution of complexity. Heylighen, F, 1997, “The Growth of Structural and Functional Complexity during Evolution”, in The Evolution of Complexity (Kluwer, Dordrecht.). Heylighen, F, 1999b, “The Science Of Self-Organization And Adaptivity” Knowledge Management, Organizational Intelligence and Learning, and Complexity, in: The encyclopedia of life support systems EOLSS 253--280. Heylighen, F, 2006, “Why is Open Access Development so Successful? Stigmergic organization and the economics of information” arXiv preprint cs/0612071. Heylighen, F and Joslyn, C, 2001, “Cybernetics and second order cybernetics” Encyclopedia of physical science & technology 155–170. Heynen, H, 2013, “Space as Receptor, Instrument or Stage: Notes on the Interaction Between Spatial and Social Constellations” International Planning Studies 18(3–4) 342–357. Hillier, J, 2008, “Plan(e) Speaking: a Multiplanar Theory of Spatial Planning” Planning Theory 7(1) 24–50. Hillier, J, 2005, “Straddling the Post-Structuralist Abyss: Between Transcendence and Immanence?” Planning Theory 4(3) 271–299. Hillier, J, 2011, “Strategic navigation across multiple planes: Towards a Deleuzean-inspired methodology for strategic spatial planning” Town Planning Review 82(5) 503–527. Hodgson, G M and Knudsen, T, 2006, “Why we need a generalized Darwinism, and why generalized Darwinism is not enough” Journal of Economic Behaviour & Organization 61(1) 1–19. Holland, J, 1995 Hidden Order: How Adaptation Builds Complexity (Basic Books, Canada). Holland, J, 2012 Signals and Boundaries: Building Blocks for Complex Adaptive Systems (MIT Press). Holland, J, 2006, “Studying complex adaptive systems” Journal of Systems Science and Complexity 19 1–8. Hooper, D, Solan, M, and Symstad, A, 2002, “Species diversity, functional diversity and ecosystem functioning” … Functioning: …. Houston, C, 2001, “The Brewing of Islamist Modernity: Tea Gardens and Public Space in Istanbul” Theory, Culture & Society 18(6) 77–97. Ihde, D, 1975, “The Experience of Technology: Human-Machine Relations” Philosophy & Social Criticism 2(3) 267–279. Inalcik, H, 1969, “Capital Formation in the Ottoman Empire” The journal of economic history 29(1) 97–140. Innes, J E and Booher, D E, 1999, “Consensus building and complex adaptive systems: A framework for evaluating collaborative planning” Journal of the American Planning Association 65(4) 412–423. Inness, J and Booher, D, 1999, “Consensus Building and Complex Adaptive Systems” Journal of the American Planning Association (December 2012) 37–41. Interview with Memet Güreli, 2013 http://soundsofurbanlife.com/, http://soundsofurbanlife.com/istanbul/istabulmeet-the-locals-dhoku-interview-with-mehmet-gureli/. Isin, E, 2003 Everyday life in Istanbul (Yapi Kredi Yayinlari). Jacobs, J, 1961 The death and life of great American cities (Random House, Inc., New York). Jacobs, J M, 2011, “Urban geographies I: Still thinking cities relationally” Progress in Human Geography 36(3) 412–422. Jankovic, L, 2012, “An Emergence-based Approach to Designing” The Design Journal 15(3) 325–346. Jarvis, H and Bonnett, A, 2013, “Progressive Nostalgia in Novel Living Arrangements: A Counterpoint to Neo-traditional New Urbanism?” Urban Studies 50(August) 2349–2370. Jensen, O B, 2009, “Flows of Meaning, Cultures of Movements – Urban Mobility as Meaningful Everyday Life Practice” Mobilities 4(1) 139–158. Jepson, E J and Edwards, M M, 2010, “How Possible is Sustainable Urban Development? An Analysis of Planners’ Perceptions about New Urbanism, Smart Growth and the Ecological City” Planning Practice and Research 25(4) 417–437. Joh, K, Boarnet, M G, Nguyen, M T, Fulton, W, Siembab, W, and Weaver, S, 2009, “Accessibility, Travel Behaviour, and New Urbanism: Case Study of Mixed-Use Centers and Auto-Oriented Corridors in the South Bay Region of Los Angeles, California” Transportation Research Record: Journal of the Transportation Research Board 2082 81–89. Johnson, C, 1922 Constantinople today: the Pathfinder survey of Constantinople: a study in oriental social life (Macmillan). Jones, M, 2014, “Kapoorian geographies of relationality: The baroque, topological twists, phase space in action” Environment and Planning A 46(11) 2585–2603. Jones, M, 2009, “Phase space: geography, relational thinking, and beyond” Progress in Human Geography 33(4) 487–506. Jones, M and Jessop, B, 2010, “Thinking State/Space Incompossibly” Antipode 42(5) 1119–1149. Juris, J S, 2012, “Reflections on #Occupy Everywhere: Social media, public space, and emerging logics of aggregation” American Ethnologist 39(2) 259–279. Kamrava, M, 2004, “The Semi-Formal Sector and the Turkish Political Economy” British Journal of Middle Eastern Studies 31(1) 63–87. Kaneko, K, 2009, “Relationship among Phenotypic Plasticity , Genetic and Epigenetic Fluctuations , Robustness , and Evolovability ; Waddington ’ s Legacy revisited under the Spirit of Einstein” Systems Biology 34(October) 1–18. Kapoor, I, 2002, “Deliberative Democracy or Agonistic Pluralism? the Relevance of the Habermas-Mouffe Debate for Third World Politics.” Alternatives: Global, Local, Political 27(4) 459–488. Kasaba, R and Bozdogan, S, 1997 Rethinking modernity and national identity in Turkey (University of Washington Press). Kashef, M, 2009, “Sense of Community and Residential Space : Contextualizing New Urbanism within a Broader Theoretical Framework” ArchNet-IJAR 3(3) 80–97. Kauffman, S, 1996 At Home in the Universe: The Search for the Laws of Self-Organization and Complexity (Oxford University Press, USA). Kauffman, S, 1993 The origins of order: Self-organization and selection in evolution (Oxford University Press). Kauffman, S and Johnsen, S, 1991, “Coevolution to the edge of chaos: coupled fitness landscapes, poised states, and coevolutionary avalanches.” Journal of theoretical biology 149(4) 467–505. Kauffman, S and MacReady, W, 1995, “Technological Evolution and Adaptive Organizations”. Keller, E F, 2008, “Organisms, Machines, and Thunderstorms : A History of Self-Organization , Part One” Historical Studies in the Natural Sciences 38(1) 45–75. Kingwell, M, 2001 The World We Want: Virtue, Vice, and the Good Citizen (Penguin Canada). Kitchin, R, 2014, “The real-time city? Big data and smart urbanism” GeoJournal 79(1) 1–14. Koolhaas, R and Mau, B, 1995 SMLXL (New York: Ed. Monacelli). Köroglu, B, 2010, “The Story of a Jewelry Cluster in Istanbul Metropolitan Area: Grand Bazaar (Kapalıçarsı)” Gazi University Journal of … 22(4) 383–394. Kropf, K, 2001, “Conceptions of change in the built environment” Urban Morphology. Kropf, K, 2011, “Morphological Investigations : Cutting into the Substance of Urban Form” Built Environment 37(4) 393–408. Kropf, K, 1996, “Urban tissue and the character of towns” Urban Design International 1(3) 247–263. Kucukcan, T, 2003, “State, Islam, and Religious Liberty in Modern Turkey: Reconfiguration of Religion in the Public Sphere” Brigham Young University Law Review 2 475–506. Langton, C G, 1990, “Computation at the edge of chaos: Phase Transitions and Emergent Computation” Physica D 42 12–37. Lansing, J S, 2003, “Complex Adaptive Systems” Annual Review of Anthropology 32(1) 183–204. Lehtovuori, P and Ruoppila, S, 2012, “Temporary uses as means of experimental urban planning”. Leonardi, P M, 2011, “When Flexible Routines Meet Flexible Technologies: Affordance, Constraint, and the Imbrication of Human and Material Agencies” MIS quarterly 35(1) 147–167. Leszczynski, A, 2015, “Spatial media/tion” Progress in Human Geography 39(6) 729–751. Levin, S, 1998, “Ecosystems and the biosphere as complex adaptive systems” Ecosystems 1 431–436. Lewis, B, 1937, “The Islamic Guilds” The economic history review 8(1) 20–37. Lindholm, G, 2011, “‘Visible Gestures’: On urban landscape perspectives in planning” Planning Theory 11(1) 5–19. Lofland, L, 1998 The Public Realm: Exploring the City’s Quintessential Social Territory (Transaction Publishers). Lord, A, 2014, “Towards a non-theoretical understanding of planning” Planning Theory 13(1) 26–43. Luisi, P L, 2003, “Autopoiesis: a review and a reappraisal.” Die Naturwissenschaften 90(2) 49–59. Lydon, M and Garcia, A, 2015 Tactical Urbanism (Island Press/Center for Resource Economica). Lynch, K, 1984 Good City Form (MIT Press). Lynch, K, 1960 The Image of the City (The MIT Press). Lynch, K, Banerjee, T, and Southworth., M, 1995 City sense and city design: writings and projects of Kevin Lynch. (MIT Press). MacDougall, E B and Ettinghausen, R, 1974 The Islamic Garden: Dumbarton Oaks Colloquium on the History of Landscape Architecture IV (Dumbarton Oaks Trustees for Harvard University). MacKinnon, D, Cumbers, A, and Pike, A, 2009, “Evolution in economic geography: institutions, political economy, and adaptation” Economic Geography 85(2) 129–150. Madoeuf, A and Snider, M, 2012, “New Trinkets in Old Spaces”, in Ed M Gharipour (American University in Cairo Press). Malpas, J, 2012, “Putting space in place: philosophical topography and relational geography” Environment and Planning D: Society and Space 30(2) 226–242. Manson, S, 2001, “Simplifying complexity: a review of complexity theory” Geoforum 32(3) 405–414. Manson, S and Sullivan, D, 2006, “Complexity theory in the study of space and place” Environment and Planning A 38(2006) 677–692. Marcus, L and Koch, D, 2017, “Cities as implements or facilities – The need for a spatial morphology in smart city systems” Environment and Planning B: Urban Analytics and City Science 44(2) 204–226. Marshall, S, 2008 Cities Design and Evolution (Routledge, New York). Marshall, S, 2012, “Planning, Design and the Complexity of Cities”, in Complexity Theories of Cities Have Come of Age (Springer Berlin Heidelberg), pp 191–205. Martin, R, 2001, “Geography and public policy: the case of the missing agenda” Progress in Human Geography 25(2) 189–210. Martin, R and Sunley, P, 2007a, “Complexity thinking and evolutionary economic geography” Journal of Economic Geography 7(5) 573–601. Martin, R and Sunley, P, 2007b, “Complexity Thinking and Evolutionary Economic Geography” Journal of Economic Geography. Massey, D, 1999, “Space-time, science and the relationship between physical geography and human geography” Transactions of the Institute of British Geographers 24 261–276. McFarlane, C, 2011, “The city as assemblage : dwelling and urban space” Environment and Planning D 29 649–672. McFarlane, C, 2011a, “Assemblage and critical urbanism” City 15(2) 204–224. McFarlane, C, 2011b, “The city as a machine for learning” Transactions of the Institute of British Geographers 44(May) 0–45. McLoughlin, J B and Webster, J N, 1970, “Cybernetic and General-System Approaches to Urban and Regional Research: A Review of the Literature” Environment and Planning A 2(4) 369–408. Mehaffy, M, Porta, S, Rofè, Y, and Salingaros, N A, 2010, “Urban nuclei and the geometry of streets: The ‘emergent neighborhoods‘ model” Urban Design International 15(1) 22–46. Mehmood, a., 2010, “On the History and Potentials of Evolutionary Metaphors in Urban Planning” Planning Theory 9(1) 63–87. Melling, A I, 1807 Voyage pittoresque de Constantinople et des rives du Bosphore [A Picturesque Voyage to Constantinople and the Shores of the Bosphorus] (imp. de P. Didot l‘ainé). Mikhail, A, 2007, “The Heart’s Desire: Gender, Urban Space and the Ottoman Coffee House”, in Ottoman Tulips, Ottoman Coffee : Leisure and Lifestyle in the Eighteenth Century Ed D Sajdi (Tauris Academic Studies), p 161. Mills, A, 2010 Streets of Memory: Landscape, Tolerance, and National Identity in Istanbul (Univ. of Georgia Press). Mills, A, 2011, “The Ottoman Legacy: Urban Geographies, National Imaginaries, and Global Discourses of Tolerance” Comparative Studies of South Asia, Africa and the Middle East 31(1) 183–195. Milroy, B M, 2010 Thinking Planning and Urbanism (UBC Press, Vancouver). Mitleton-Kelly, E, 2003, “Ten principles of complexity and enabling infrastructures”, in Complex Systems and Evolutionary Perspectives on Organisations (Elsevier Ltd), pp 1–31. Modarres, A, 2012, “Form and Function: On Politics and the Morphology of the Bazaar in Yazd, Iran”, in Ed M Gharipour (American University of Cairo Press). Moore, S, 2013, “What’ s Wrong with Best Practice ? Questioning the Typification of New Urbanism” Urban Studies 50(11) 2371–2387. Morowitz, H and Smith, E, 2006, “Energy flow and the organization of life” Complexity 13(1) 51–59. Mortan, K and Kücükerman, Ö, 2009 Istanbul and the Grand Bazaar (Republic of Turkey Ministry of Culture, Istanbul). Morville, P, 2005 Ambient Findability. Moudon, A, 2000, “Proof of Goodness: A Substantive Basis for New Urbanism” Places 13(2) 38–43. Mouffe, C, 1999, “Deliberative Democracy or Agonistic Pluralism” Social research 66(3). Moynihan, E, 1979 Paradise As a Garden: In Persia and Mughal India (George Braziller). Neuman, M, 1998, “Planning, Governing, and the Image of the City” Journal of Planning Education and Research 18(1) 61–71. Neuman, M, 2005, “The Compact City Fallacy” Journal of Planning Education and Research 25(1) 11–26. Nora, P, 1989, “Between Memory and History : Les Lieux de Memoire [The sites of Memory]” Representations (26) 7–24. Nyseth, T, 2011, “The Tromsø Experiment: Opening up for the unknown” Town Planning Review 82(5) 573–593. O’Sullivan, D, 2004, “Complexity science and human geography” Transactions of the Institute of British Geographers 29(3) 282–295. O’Sullivan, D and Torrens, P, 2001, “Cellular models of urban systems”, London. Offenhuber, D and Ratti, C, 2014, “Reading the City” ArXiv Preprint ArXiv 1406.4400. Okigbo, A, 2009, “Landscape Insertions: Operations Between Architecture and Landscape - Temporality as Mechanism in The Transformation of Urban Voids”, in Landscape - Great Idea!, pp 130–135. Oldenburg, R, 1999 The great good place: Cafes, coffee shops, bookstores, bars, hair salons, and other hangouts at the heart of a community (Da Capo Press). Oldenburg, R, 1989 The Great Good Place: Cafes, Coffee Shops, Community Centers, Beauty Parlors, General Stores, Bars, Hangouts and How They Get You Through the Day 1st edition (Paragon House). Onay, N and Uğurlu, A, 2010, “A public meeting point : ‘ Sebil ’ of Nuruosmaniye” ITU A|Z 7(1) 38–53. Ors, I, 2002, “Coffeehouses, Cosomopolitanism, and Pluralizing Modernities In Istanbul” Journal of Mediterranean Studies 12(1) 119–145. Ors, I, 2014, “Genie in the bottle: Gezi Park, Taksim Square, and the realignment of democracy and space in Turkey” Philosophy & Social Criticism 40 489–498. Ozkocak, A, 2007, “Coffehouses: Rethinking the Public and Private in Early Modern Istanbul” Journal of Urban History 33(6) 965–986. Paperin, G, Green, D G, and Sadedin, S, 2011, “Dual-phase evolution in complex adaptive systems.” Journal of the Royal Society, Interface 8(58) 609–29. Parunak, H V D, 2005, “Expert Assessment of Human-Human Stigmergy”. Peker, A U, 2010, “Return of the Sultan: Nuruosmânîye Mosque and the Istanbul Bedestan”, in Constructing Cultural Identity, Representing Social Power Eds C Bilsel, K Esmark, N Kžzžlyürek, and Ó Rastrick (Edizioni Plus – Pisa University Press, Pisa), pp 139–157. Pickering, A, 1993, “The Mangle of Practice : Agency and Emergence in the Sociology of Science” American Journal of Sociology 99(3) 559–589. Pigliucci, M, 2008, “Sewall Wright’s adaptive landscapes: 1932 vs. 1988” Biology & Philosophy 23(5) 591–603. Plater-Zyberk, E, Longo, G, and Hetzel, P, 2003, “The Lexicon of New Urbanism”, Duany Plater-Zyberk & Company. Porta, S, Romice, O, Maxwell, J a., Russell, P, and Baird, D, 2014, “Alterations in scale: Patterns of change in main street networks across time and space” Urban Studies 51(16) 3383–3400. Porta, S, Romice, O, Strano, E, and Venerandi, A, 2011, “Plot-based urbanism and urban morphometrics: measuring the evolution of blocks, street fronts and plots in cities” 1–43. Portugali, J, 2000 Self-Organization and the City (Springer, Berlin). Portugali, J and Alfasi, N, 2008, “An Approach to Planning Discourse Analysis” Urban Studies. Portugali, J, Meyer, H, Stolk, E, and Tan, E, 2012 Complexity theories of cities have come of age (Springer). Portugali, J and Stolk, E, 2016 Complexity , Cognition , Urban Planning and Design (Springer). Prigogine, I and Stengers, I, 1984 Order out of chaos 1st edition (Bantam, New York). Prominski, M, 2005, “Designing Lanscapes as Evolutionary Systems” The Design Journal 8(3). Protevi, J, 2006, “Deleuze, Guattari and Emergence” Paragraph (Deleuze 1968). Protevi, J, 2013, “Review of Manuel DeLanda, Intensive Science & Virtual Philosophy”. Ratti, C, 2011, “Editorial: Open Source Architecture” Domus, 948 (5). Read, S, 2007a, “Deep Landscapes: constructing urban landscapes for inhabitation” 6th International Space Syntax Symposium, Istanbul. Read, S, 2005, “The Attractor of the Ground”, Delft. Read, S, 2007b, “Thickening the surface - or , what is an ‘ecological landscape’ exactly?” Kerb Journal of Landscape Architecture 15 1–6. Redford, S, 2000, “Just Landscape in Medieval Anatolia” Studies in the History of Gardens & Designed Landscapes 20(4) 313–324. Reed, M and Harvey, D, 1992, “The new science and the old: Complexity and realism in the social sciences” Journal for the Theory of Social Behaviour 22(4) 353–380. Reitsma, F, 2002, “A response to simplifying complexity” Geoforum 5. Rietveld, E and Rietveld, R, 2011, “The Paradox of Spontaneity and Design / Designing Spontaneous Interactions” OASE Journal of Architecture 85 33–41. Robbins, P and Marks, B, 2010, “Assemblage geographies” The SAGE Handbook of Social Geographies 176–194. Robins, K and Aksoy, A, 1995, “Istanbul Rising” European Urban and Regional Studies 2(3) 223.
de Roo, G, Hillier, J, and Wezemael, J Van, 2012 Complexity and Planning: Systems, Assemblages and Simulations (Taylor & Francis). de Roo, G and Rauws, W S, 2012, “Positioning Planning in the World of Order, Chaos and Complexity: On Perspectives, Behaviour and Interventions in a Non-linear Environment”, in (Springer), pp 207–220. Rose, M, 2002, “Landscapes and labyrinths” Geoforum 33 455–467. Rudofsky, B, 1987 Architecture Without Architects: A Short Introduction to Non-Pedigreed Architecture Reprint (University of New Mexico Press). Saab, a. J, 2007, “Historical Amnesia: New Urbanism and the City of Tomorrow” Journal of Planning History 6(3) 191–213. Sargin, G A, 2004, “Displaced memories, or the architecture of forgetting and remembrance” Environment and Planning D: Society and Space 22(5) 659–680. Sawyer, R K, 2005 Social Emergence: Societies As Complex Systems (Cambridge University Press). Schatzki, T, 2003, “A New Societist Social Ontology” Philosophy of the Social Sciences 33(2) 174–202. Schatzki, T R, 2005, “Peripheral Vision: The Sites of Organizations” Organization Studies 26(3) 465–484. Schimmel, A, 1976, “The Celestial Garden”, in (Dumbarton Oaks), pp 13–39. Schmitt, A, 2017, “Montreal’s Car-Free Street Network gets Bigger all the Time” Streetsblog USA 1–3. Schneider, T and Till, J, 2006, “Flexible housing: opportunities and limits” arq: Architectural Research Quarterly 9(2) 157. Schurch, T W, 1999, “Reconsidering urban design : Thoughts about its definition and status as a field or profession” Journal of Urban Design 4(1) 5–28. Seckin, Y, 2003, “Gardens of the nineteenth-century imperial palaces in Istanbul” Studies in the History of Gardens & Designed Landscapes 23(1) 72–86. Secor, A, 2004, “‘There is an Istanbul that belongs to me’: citizenship, space, and identity in the city” Annals of the Association of American Geographers 94(2) 352–368. Sengupta, U, Rauws, W S, and de Roo, G, 2016, “Planning and complexity: Engaging with temporal dynamics, uncertainty and complex adaptive systems” Environment and Planning B: Planning and Design 43(6) 970–974. Shannon, C and Weaver, W, 1964 The Mathematical Theory (University of Illinois Press, Urbana). Sheppard, E, 2008, “Geographic dialectics?” Environment and Planning A 40(11) 2603–2612. Silva, P, 2016, “Tactical urbanism: Towards an evolutionary cities’ approach?” Environment and Planning B: Planning and Design 43(6) 1040–1051. Simon, H, 1962, “The Architecture of Complexity” Proceedings of the American philosophical society 106(6) 467–482. Solé, R, Manrubia, S, Benton, M, Kauffman, S, and Bak, P, 1999, “Criticality and scaling in evolutionary ecology” Trends in ecology & evolution 14(4) 156–160. Sorkin, M, 1992 Variations on a theme park: the new American city and the end of public space (Hill and Wang, New York). Southworth, M, 2003, “New Urbanism and the American metropolis” Built Environment (1978-) 29(3) 210–226. Steigerwald, B, 2001, “City Views” Reason Magazine. Storper, M and Scott, A J, 2016, “Current debates in urban theory: A critical assessment” Urban Studies 53(6) 1114–1136. Strogatz, S H, 2001, “Exploring complex networks.” Nature 410(6825) 268–76. Strogatz, S H, 2004 Sync: The Emerging Science of Spontaneous Order (Hyperion). Surowiecki, J, 2005 The Wisdom of Crowds (Anchor). Talen, E, 2013 Charter of New Urbanism 2nd Edition 2nd Editio (McGraw-Hill, New York). Talen, E, 2006a, “Connecting New Urbanism and American planning: an historical interpretation” Urban Design International 11(2) 83–98. Talen, E, 2006b, “Design That Enables Diversity: The Complications of a Planning Ideal” Journal of Planning Literature 20(3) 233–249. Talen, E, 2000, “New Urbanism and the culture of criticism” Urban Geography 21(4) 318–341. Talen, E and Ellis, C, 2002, “Beyond Relativism: Reclaiming the Search for Good City Form” Journal of Planning Education and Research 22(1) 36–49. Taylor, M C, 2002 The Moment of Complexity: Emerging Network Culture 1st edition (University Of Chicago Press). Theraulaz, G and Bonabeau, E, 1999, “A brief history of stigmergy.” Artificial life 5(2) 97–116. Thompson, I H, 2012, “Ten Tenets and Six Questions for Landscape Urbanism” Landscape Research 37(1) 7–26. Thrift, N, 1999, “The Place of Complexity” Theory, Culture & Society 16(3) 31–69. Thrift, N, 2014, “The ‘sentient’ city and what it may portend” Big Data and Society 1(June) 1–21. Till, J and Schneider, T, 2006, “Flexible housing: the means to the end” arq: Architectural Research Quarterly 9(3–4) 287. Tokatli, N and Boyaci, Y, 1999, “The changing morphology of commercial activity in Istanbul” Cities 16(3) 181–193. Tokman, A, 2001 Negotiating Tradition, Modernity And Identity In Consumer Space : A Study Of A Shopping Mall And Revived Coffeehouse, Bilkent University Ankara. Trenchard, H and Perc, M, 2016, “Energy saving mechanisms, collective behaviour and the variation range hypothesis in biological systems: A review” BioSystems 147 40–66. Trudeau, D and Malloy, P, 2011, “Suburbs in Disguise? Examining the Geographies of the New Urbanism” Urban Geography 32(3) 424–447. Tschumi, B, 1996 Architecture and Disjunction (MIT press). Turam, B, 2012 Secular State and Religious Society (Palgrave Macmillan, New York). Turam, B, 2013, “The Primacy of Space in Politics: Bargaining Rights, Freedom and Power in an Istanbul Neighborhood” International Journal of Urban and Regional Research 37(2) 409–429. Uitermark, J, 2015, “Longing for Wikitopia: The study and politics of self-organisation” Urban Studies (November 2015). Uitermark, J, Hochstenbach, C, and van Gent, W, 2017, “The statistical politics of exceptional territories” Political Geography 57 60–70. Urry, J, 2003 Global complexity (Wiley-Blackwell). Urry, J, 2004, “Small Worlds and the New ‘Social Physics’” Global Networks 4(2) 109–130. Urry, J, 2005, “The Complexities of the Global” Theory, Culture & Society 22(5) 235–254. Vancouver, C of, 2012, “News and press releases”, http://vancouver.ca/news-calendar/news.aspx?&nwfd=19500101&nstart=11. Veninga, C, 2004, “Spatial Prescriptions and Social Realities: New Urbanism and the Production of Northwest Landing” Urban Geography 25(5) 458–482. Waldheim, C, 2002, “Landscape Urbanism: A Genealogy” Praxis. Waldheim, C, 2006 The Landscape Urbanism Reader 1st edition (Princeton Architectural Press). Wall, A, 1999, “Programming the Urban Surface” Recovering Landscape. Weir, D, 2012, “Turkey’s Time to Shine” Specialty Retail Report (9). Weller, R, 2008, “Landscape (sub) urbanism in theory and practice” Landscape Journal. Whatmore, S, 2006, “Materialist returns : practising cultural geography in and for a more-than-human world” Cultural Geographies 600–610. Withagen, R, de Poel, H J, Araújo, D, and Pepping, G-J, 2012, “Affordances can invite behaviour: Reconsidering the relationship between affordances and agency” New Ideas in Psychology 30(2) 250–258. Wohl, S, 2016a, “Considering how morphological traits of urban fabric create affordances for Complex Adaptation and Emergence” Progress in Human Geography 40(1) 30–47. Wohl, S, 2017a, “From form to process: Re-conceptualizing Lynch in light of complexity theory” Urban Design International 22(4). Wohl, S, 2017b, “Tactical urbanism as a means of testing relational processes in space: A complex systems perspective” Planning Theory 147309521772280. Wohl, S, 2015, “The Grand Bazaar in Istanbul : The Emergent Unfolding of a Complex Adaptive System” International Journal of Islamic Architecture 4(1) 39–73. Wohl, S, 2017c, “The Turkish Tea Garden: Exploring a ‘third Space’ with Cultural Resonances” Space and Culture 20(1). Wolf, T De and Holvoet, T, 2004, “Emergence and Self-Organisation: a statement of similarities and differences” Engineering Self-Organising Systems. Wolfram, S, 1984, “Cellular automata as models of complexity” Nature 311 419–424. Woodward, K, III, J J, and Marston, S, 2010, “Of eagles and flies: Orientations toward the site” Area 42(3) 271–280. Woodward, K, Jones, J P, and Marston, S a., 2012, “The politics of autonomous space” Progress in Human Geography 36(2) 204–224. Yeung, H W, 2005, “Rethinking relational economic geography” Transactions of the Institute of British Geographers 30(1) 37–51. Yi, E, 2004 Guild dynamics in seventeenth-century Istanbul: Fluidity and leverage (Brill Academic Pub). Yildirim, O, 2008, “Ottoman Guilds in the Early Modern Era” International Review of Social History 53(S16) 73. Zimmerman, J, 2001, “the ‘Nature’ of Urbanism on the New Urbanist Frontier: Sustainable Development, or Defense of the Suburban Dream?” Urban Geography 22(3) 249–267. WOHL, Sharon. Complex Adaptive Systems and Urban Morphogenesis. A+BE | Architecture and the Built Environment, [S.l. ], n. 10, p. 1-238, june 2018. ISSN 2214-7233. Available at: <https://journals.open.tudelft.nl/index.php/abe/article/view/2397>. Date accessed: 20 apr. 2019. doi: https://doi.org/10.7480/abe.2018.10.2397.